Beatboxing carollers remixed classic Christmas songs to spread festive cheer and showcase the launch of a new alcohol delivery service from Diageo in partnership with Deliveroo. The stunt to mark the launch of thebar.com took place in London today and was delivered by agency Taylor Herring. 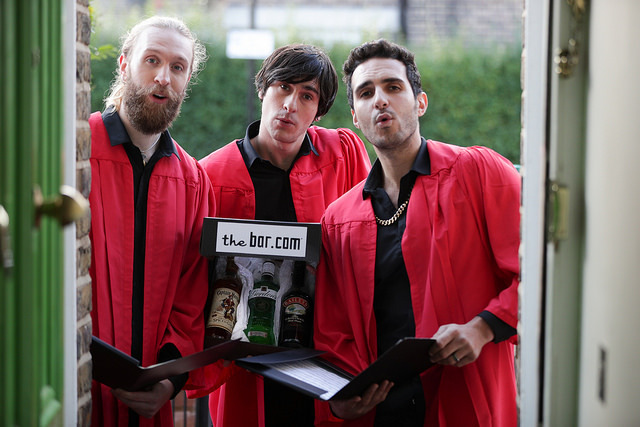 To mark the new service, some lucky Londoners who buy their drinks via the new home delivery service this week will have their order accompanied by a beatboxing seasonal singalong from thebar.com’s Christmas carol singers. Thebar.com aims to takes the stress out of shopping for favourite drinks, with Diageo brands including Smirnoff, Gordon’s, Captain Morgan, Johnnie Walker and Baileys available to order by searching thebar.com on the Deliveroo app and website in select areas. 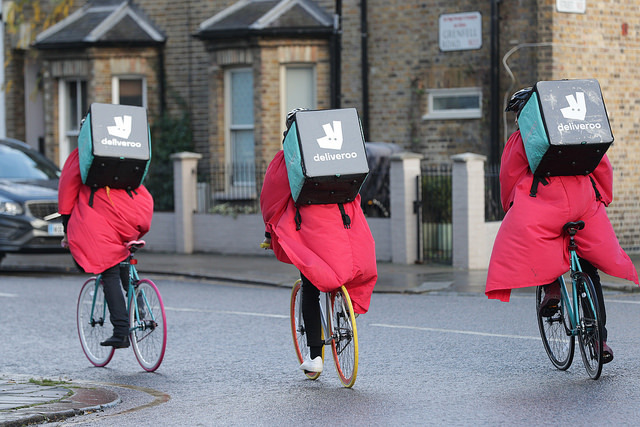 Orders made via the Deliveroo app or online will be subject to standard Deliveroo delivery times. Johnnie Walker recently launched a VR experience to highlight the dangers of drink driving, while Diageo-owned gin brand Tanqueray Ten partnered with florist Rebel Rebel in September to create the Hanging Gardens of Kyoto Terrace, an installation inspired by Japanese gardens and the botanicals of the gin.